Focus Features will be launching the Won’t You Be My Neighbor? pop-up at next week’s CinemaCon, beginning April 23rd, inside Caesar’s Palace by the Pisa Room in Las Vegas. 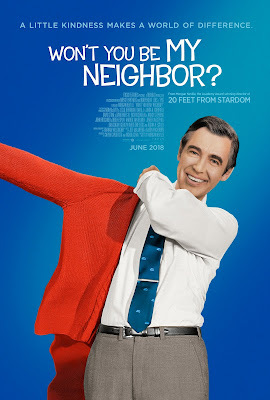 Morgan Neville Won’t You Be My Neighbor? Labels: Morgan Neville Won’t You Be My Neighbor?